Telltale may have already cornered the market on The Walking Dead games, but this one looks pretty good, too. Despite the fact that The Walking Dead's television series is getting a bit stale and it's becoming more apparent by the day that the comic is where it's at, the Walking Dead games keep a-comin', and the latest is The Walking Dead: Road to Survival, a mobile game that's just soft-launched in Australia on iOS and Google Play in certain territories. Does it leave the franchise all in shambles? Did you get that joke? 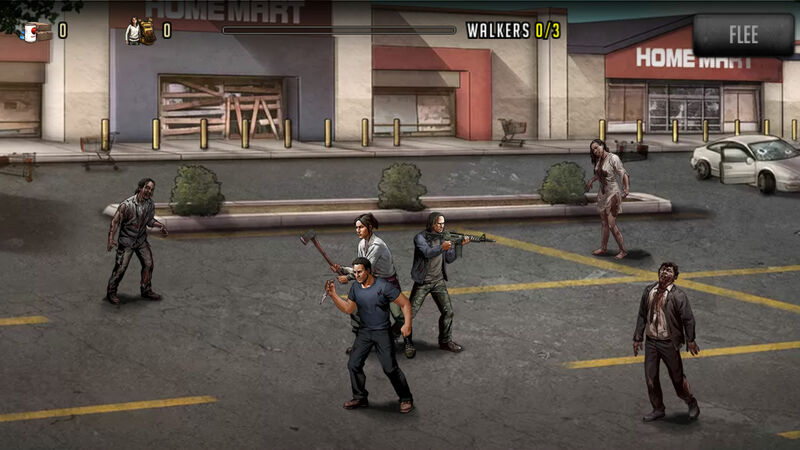 The Walking Dead: Road to Survival looks a lot like other, similar role-playing games you'd see on mobile devices, with you and your crew mixing events from the show and the comic book. Rather than attacking zombies as they come or with quick-time events a la Telltale Games' memorable adventure series, you attack the brain-hungry corpses in turn-based waves that require you to get good at timed taps and other special abilities for use in exterminating the hordes that attack you. You'll choose your own party members out of what the game assigns you (though you can pay to unlock more of course) and keep the town up in what feels very much like a clone of other resource-management sims all over the App Store and Google Play store. There are some choice-based events that you'll want to keep in mind, however, but for the most part it looks and feels very much like a title you've probably already played before. Still, if you've followed either the TV show or the comic faithfully or you're waiting to riot if Daryl Dixon dies as those clever little T-shirts proclaim, this is a game you'll probably want to clear some space off of your device to download when it finally shambles into North America. And you know it will. We've even got The Walking Dead dog tags here. Seriously.